ALTA Music Festival - Otter Productions Inc. | Otter Productions Inc. ALTA Music Festival - Otter Productions Inc. 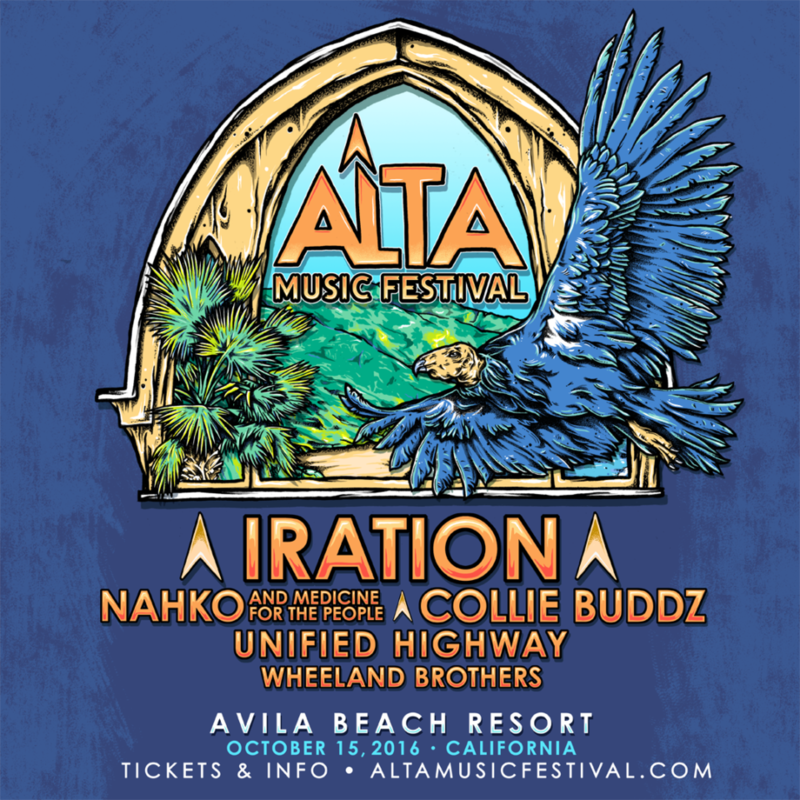 The ALTA MUSIC FESTIVAL, this year featuring IRATION, NAHKO & Medicine for the People, Collie Buddz, Unified Highway and Wheeland Brothers, is coming to the Fremont Theatre in downtown San Luis Obispo (moved from the Avila Beach Resort due to rain), on Saturday October 15th, 2016. Advance G/A tickets are on sale now at http://altamusicfestival.com/tickets, and at all VALLITIX outlets including Boo Boo Records in SLO, (888) 825-5484. All ages. Alta Music Festival is created by Dan Sheehan, talent buyer and co-producer of the California Roots Music & Arts Festival. Sheehan, and his partners in Ineffable Live, bring their talents alongside Otter Productions to showcase a new and exciting event. ‘ALTA’ means high, height, higher, elevated, and can refer to everything from a state of consciousness to a preference in the arts. Attendees of the Alta Music Festival can expect an elevated festival experience – the same high production value that is synonymous with all of these producers’ events are known for with exceptional input to the finest details. Sustainability is integral to the success of the event. In an effort to eliminate single-use plastic waste, the Alta Music Festival has partnered with the environmental non-profit REVERB and the #RockNRefill program. 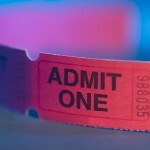 Every ticket will include a $5 fee that will go toward single-use plastic free solutions. This $5 fee will provide every ticket holder with a custom 32oz Alta Music Festival NALGENE bottle and free filtered water stations will be provided on site for all fans to use at the festival. The majestic California Condor, the largest flying bird in North America, is featured on the festival’s 2016 artwork. As a way of giving back to the natural wildlife organizations, Alta Music Festival has partnered with the Ventana Wildlife Society to raise funds and awareness to their Condor Program. The California Condor is the largest endangered bird in North American and soars to dizzying heights with its ten-foot wingspan. The bird symbolizes the same heights that the Alta Music Festival looks to achieve in its overall production and experience. $1 from all tickets sold to the Alta Music Festival will be donated directly to the Ventana Wildlife Society. Additionally, the festival is working on free bike valet and a partnership with TripZero to offset carbon through hotel reservations as a part of establishing the event’s greening initiatives. Stay tuned for more information and lineup announcements at http://AltaMusicFestival.com.